My 3rd tutorial on black and white conversions; this time a detailed tutorial on using Lightroom or Camera RAW to convert colour to black and white or duotoned. Get the colour profiles from Adobe Labs and get much improved colours! What do I bring on a photo trip. More black and white photography and tips on how to convert to black and white and do gorgeous black and white prints. I show you step by step how I use PTgui to create stitched panoramas. 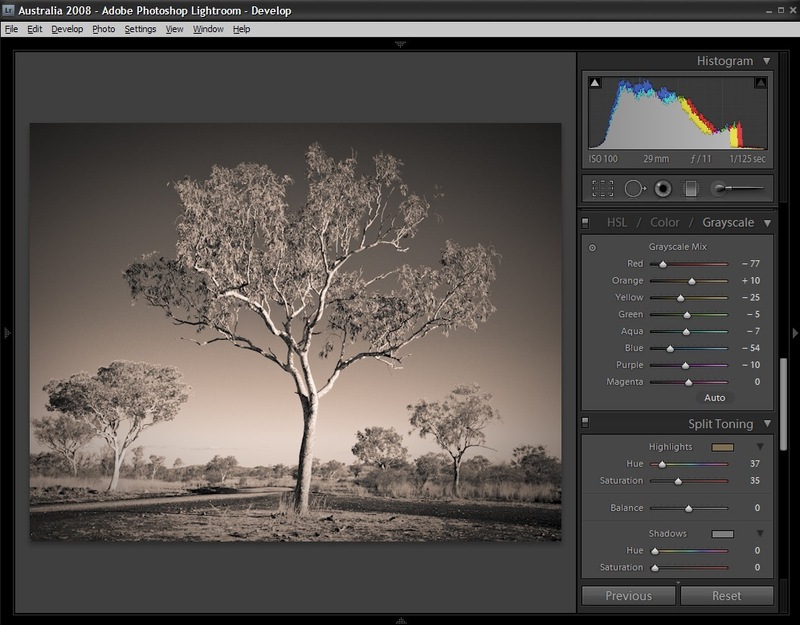 Black and white photography and how to convert colour photos to black and white. One desert for me please! Deserts! How to shoot photos in them and how not to die doing it! How to shoot a stitched panorama, focusing on the shooting. Hold on! Photographing from aircrafts! A few tips on shooting photos either on the ground or way above ground! Not a tutorial as such, but showing you my gear on the road. How to photograph whales from a boat and not fall out!